Nobody likes standing in long lines (especially in the sun!) and Toy Story Land with its limited shade and available spaces with air conditioning is an especially brutal spot to find yourself waiting. If you are planning on tackling this fun new addition during your next vacation to Disney World, being strategic about planning your day at Hollywood Studios is important if you want to avoid being caught up in the crowds (and heat). Ready to learn more? Here's our best tips to avoid the long lines in Toy Story Land. After a long wait, Toy Story Land opened up in the summer of 2018 to lots and lots of excitement. Part of a multi-year expansion and re-imagining of Hollywood Studios, Toy Story Land was the first major step to adding some new life to what was a very attraction-light park. Themed after one of the most beloved stories in the Pixar catalog of movies, fans of Toy Story span across multiple generations so that, plus the fact that new stuff always draws crowds, means Toy Story Land remains quite busy to this day. Toy Story Land is totally adorable. There are a million and one details to take in but it doesn't take you long to realize that, while cute as can be, Toy Story Land has 1 fatal flaw: limited to no shade. Toy Story Land during the middle of the day in the summer is just a hair cooler than the surface of the sun. Nearly everything there is to see and do in Toy Story Land is outdoors with hardly any shade. Waiting in any line isn't "fun" but its even LESS fun to wait in lines while exposed to the sun and the heat (or the rain!). 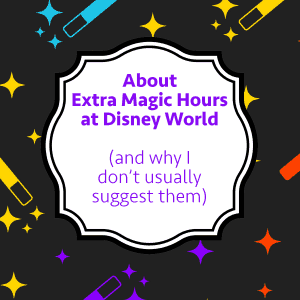 The popularity of the new attractions (and overall area) plus the limited shade is a nasty combination that is guaranteed to throw a wrench into lots of people's plans. But, depending on your budget you'll find several options below that will help you minimize your waits in Toy Story Land. Disney's Hollywood Studios does offer Extra Magic Hours on a regular basis and those can be a good option if you are committed to getting up early and arriving to the gate of the park at least 45 minutes before Extra Magic Hours begin. While you probably won't be able to do all 3 attractions this way, you can definitely get at least 1 and maybe 2 done without having to wait hours. But, keep in mind while Early Morning Magic (below) is open to everybody, only onsite guests have access to Extra Magic Hours. If the options in the next sections are out of your budget and you won't be able to visit during an Extra Magic Hour, you'll definitely need an AMAZING touring plan. To help you maximize your day at Hollywood Studios, we have put together touring plans that include all of the attractions in Toy Story Land and while you'll still have some lines if you follow one of the plans linked below you'll keep the wait to a minimum. The key to these plans is getting to the park at least 45 minutes before rope drop - no exceptions! 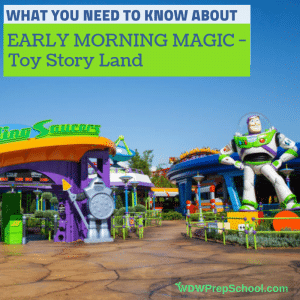 If you're looking for light crowds and easy access to the attractions in Toy Story Land, Early Morning Magic at Toy Story Land might be just the thing. This is probably our favorite way to access the attractions and characters at Toy Story Land. Early Morning Magic is a specially ticketed event (so it is an extra charge in addition to your regular park ticket) but not only does it get you onto all 3 of the attractions (multiple times if you like) it also lets you roam around this adorable addition with very light crowds. And, if you time your morning right, you'll be able to to ride 1 or 2 of the attractions in the rest of the park as soon as they open and still make it to the breakfast that is served with your admission. In fact, with proper planning (at least until Star Wars: Galaxy's Edge opens) you'll be able to knock out most of the park by lunch, making Early Morning Magic a great way to do a half day at Hollywood Studios. 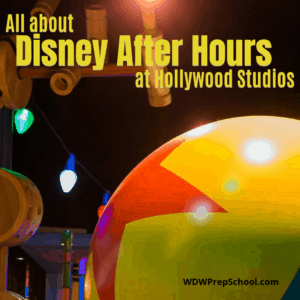 Another great option to minimize your wait is to attend one of the After Hours events at Hollywood Studios. Like Early Morning Magic, this is another specially ticketed event. However, instead of just providing you access to Toy Story Land, your ticket for After Hours gets you in to many of the most popular attractions in the park. Guests staying Club Level have the option to purchase additional FastPasses for each day of their stay. If you're staying Club Level and are concerned about the lines, this is a fantastic option. 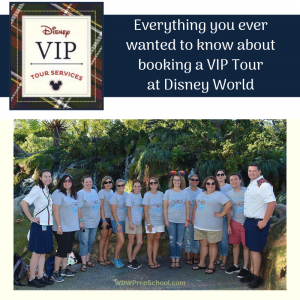 Disney has amazing V.I.P. Tour Guides that you can hire. As you can imagine, they are quite expensive but, depending on your situation they might make sense. 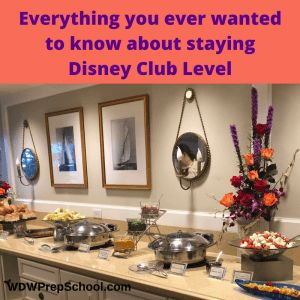 What can you bring into Disney World (and what things are banned)?